When it comes to the Apple brand, you will find a group of intensely loyal fans. The reason for such loyalty is because of the intuitively easy way that Macs work. When people buy electronics they simply want them to work without have to learn a new language or read an instruction manual as thick as a bible. Because Mac fans are so loyal they tend to have upgraded from the previous generation of Mac to the current one when they decide they need a new computer. So what was the best Mac computer ever made? Of course the current technology is better than previous generations and the technology continues to improve over the years, but that isn’t the only way to judge the best Mac ever built. We should look at the total computer market at the time for comparison when trying to determine the best Mac ever. If we look at the computer market now its clear that Mac hardware is generally superior to anything in the PC market, but at the operating system level Mac barely retains an advantage. For all the faults of Windows Vista, Windows 7 has come to market and is nearly on par with OSX. Some would even say that Windows 7 is better than OSX. Of all the current Macs on the market, the MacBook Air and the iPad stand out as true innovations that are far ahead of the nearest competitors in terms of hardware and design. Although Mac enthusiast will most likely look at the past few generations when trying to decide on the best Mac computer ever made, we should take a look into the past for some truly interesting Macs. Technically the NeXT Computer isn’t a Mac, but it was built by Steve Jobs when he left Apple in 1985. The NeXT computer was a massive flop because it was priced too high for the market and there was no software on the market to support it, even though it was the most powerful computer of it’s time and it was used at CERN to create the world wide web. 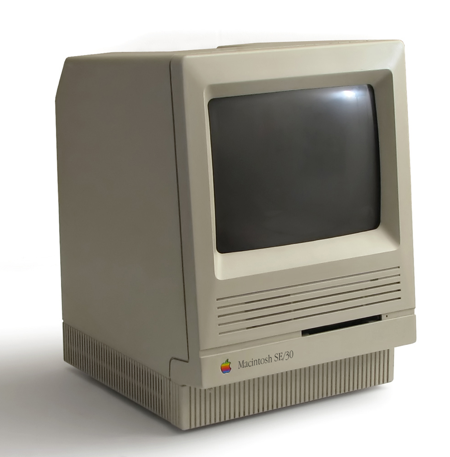 The Apple Lisa was another massive flop that is on this list because, the only mistake Apple made was again in pricing the computer to high for the market. The Lisa was ahead of its time even if it was overpriced.